Quick! Do something unexpected! 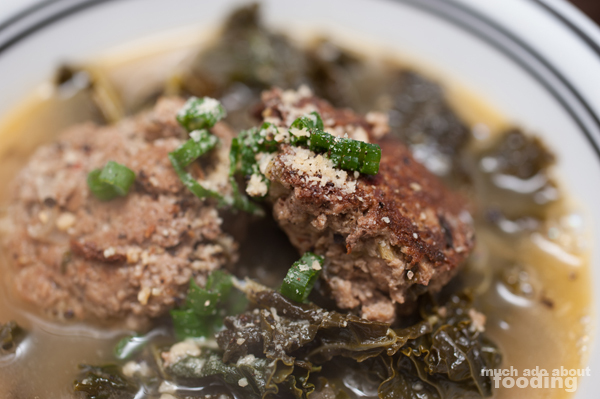 Uh, bind meatballs with their own fat? Awesome. So, I came across this method in one of the Bon Appetit emails I get weekly when they were featuring gluten-free chicken meatballs. It sounded like an interesting thing to try - binding together the meatballs without flour, breadcrumbs, eggs, or whatever. 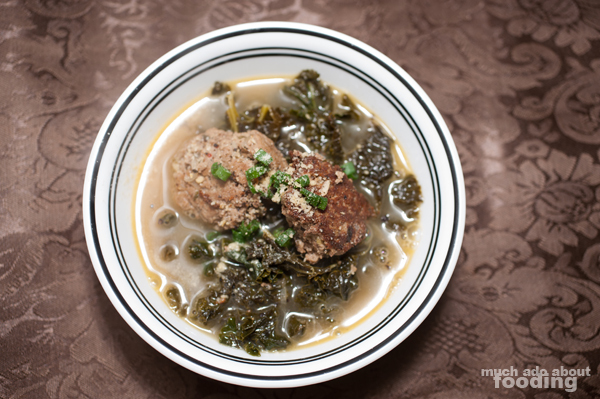 So I gave it a shot and turned the whole thing into more of a soup than just a regular dish. It is quite a lemony soup if you like sour stuff. 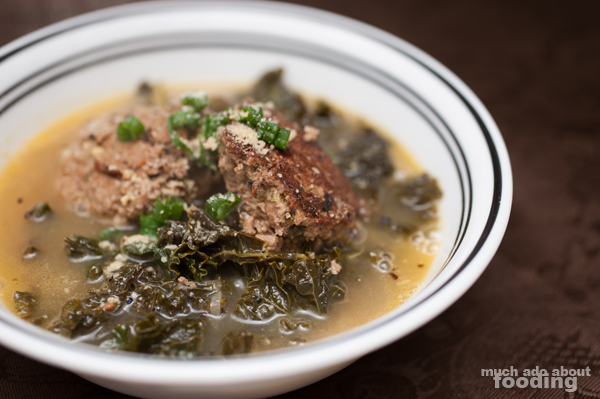 With the cooked kale, it almost tasted like a Vietnamese mustard greens soup. I liked it a lot and feel like it'd be a good thing to gulp down if you're feeling under the weather. Get that vitamin C in you! Mince garlic & chop green onions. Set aside. Separately, slice shallots and divide in half (one for first part of cooking, one for second). 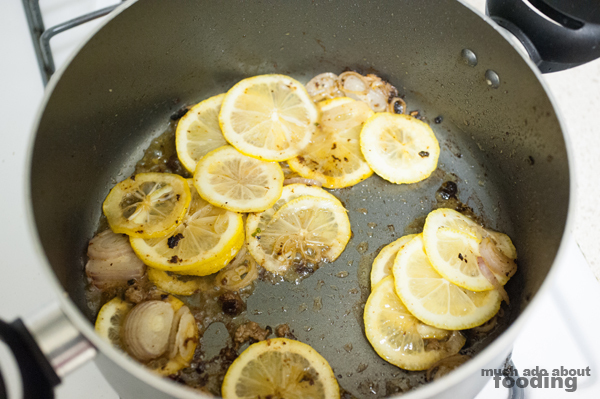 For lemon, very thinly slice lemon and set aside with 1/2 of the shallots. 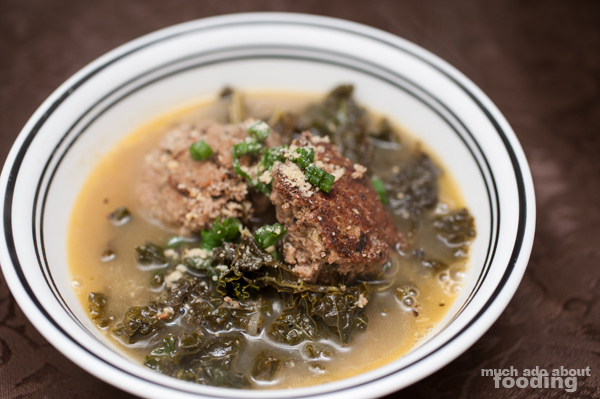 Destem kale, wash, and chop. 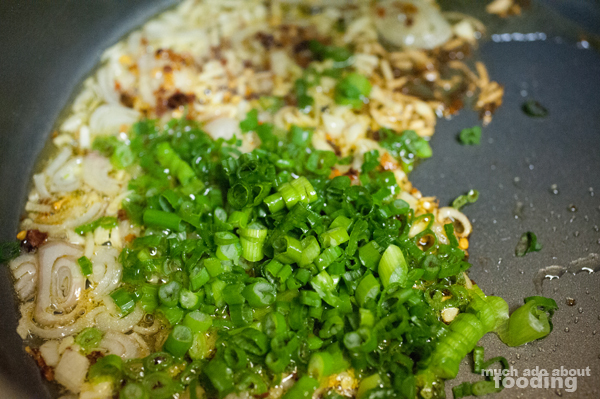 In a large saucepan, add in about 1 tbsp of oil, green onions, garlic, red pepper flakes, and half the total shallots. 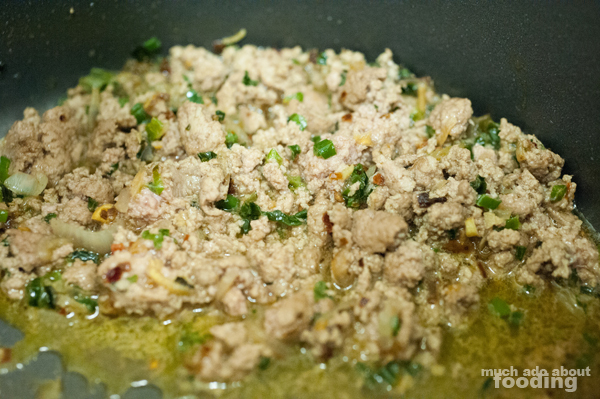 Once the mix has become very fragrant, add in 1/3 of the ground turkey and break up any clumps. Stir well together. When just done, turn off heat and put into mixing bowl. In the mixing bowl, add rest of turkey meat once the hot turkey has cooled. Form into large meatballs (approximately 8-10). Place back into pan to fry. Remove the meatballs onto a plate and add remaining scallions & lemon slices into the pan with more olive oil. 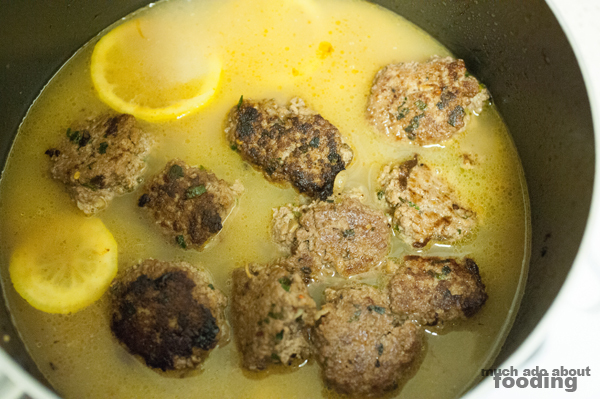 Once the lemons have braised a little, add in broth and meatballs. Let simmer about 5 minutes. Lastly, add in kale. Push down until fully covered in broth. Cover and cook on low for about 10 minutes. Serve with more freshly ground pepper and green onions. For some reason, Duc liked it with some grated Parmesan cheese on top too. OC Restaurant Week 2013 - Launch Party!